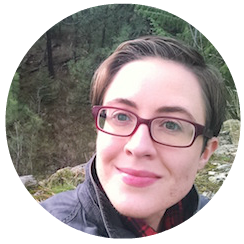 Danielle Weeks has an MFA in poetry from Eastern Washington University, where she also worked as the former poetry editor for Willow Springs. Her work has been published in Cobalt Review, Hayden's Ferry Review, and Nashville Review, among others. "Starbucks' Strangers Advice on Motherhood"
"The Sight Was a Potion, I Drained It"
"After the Blizzard, the Animals"